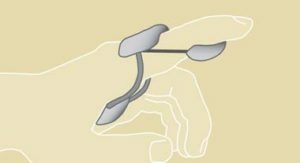 Stenosing tenosynovitis is a condition commonly known as “trigger finger.” It is sometimes also called “trigger thumb.” The tendons that bend the fingers glide easily with the help of pulleys. These pulleys hold the tendons close to the bone. This is similar to how a line is held on a fishing rod (Figure 1). 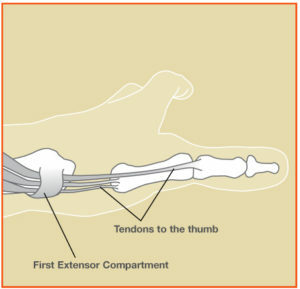 Trigger finger occurs when the pulley becomes too thick, so the tendon cannot glide easily through it (Figure 2). A joint is where bones connect and move. Arthritis is thinning of the cartilage, which is the smooth covering of the joint. The body reacts to loss of the joint surface by forming bone spurs (osteophytes). Thumb arthritis is a genetic predisposition: like graying and thinning of the hair, it comes with age and it shows up earlier in some families. Unlike thinning of the hair, women tend to get thumb arthritis sooner than men do. The diagnosis is made by talking with you and examining you. The appearance of the thumb can change with the development of bone spurs and stretching of soft tissues (ligaments) . A grinding sensation may also be present at the joint. X-rays are not necessary to make the diagnosis, but they can help you understand the disease and they can help when surgery is being considered. Surgery consists of removing the joint either by removing a bone or connecting the bones together. There are options for moving one of your tendons to secure or cushion the bone, and each hand surgeon has a different opinion on whether this is helpful. After surgery, a splint or cast is worn for several weeks. The majority of bites in the U. S. are caused by dogs, with cat bites a distant second. Other biting animals include rodents, rabbits, ferrets, farm animals, monkeys, snakes, alligators, and in coastal areas, marine animals (shark, eel). Infections occur more frequently in cat bites, because they have extremely sharp, pointed teeth that can cause deep puncture wounds. These bites are often much deeper that initially appreciated, even by the bitten individual. The skin usually flaps over the bite, sealing off the puncture wound, precluding open drainage and allowing an infection to develop (see Figure 1). Rabies is an extremely rare but fatal infection that may result from an animal bite. In the United States, unlike the rest of the world, wild animals such as bats, skunks, raccoons, and foxes spread more than 90% of rabies infections. All bites should be reported to your local health department. They may ask your assistance in locating the animal so that it can be confined and observed for symptoms of rabies. Bites to the hand require meticulous cleansing. Your doctor or other medical personnel will wash the wound and might trim away any devitalized (dead) tissue, damaged skin, blood clots, or other particles that could be a source of infection. It is important to look for signs of lymphangitis, indicated by the presence of red streaks up the forearm. When the wound is infected, a culture is obtained to identify the type of bacteria that is causing the infection and thus help determine the antibiotic that is most effective for treatment. Most broken arms are caused by trauma. In younger people, common causes are falls from a height, sports injuries and motor vehicle accidents. In older people with weaker bones, a trip and fall from a standing height is a common cause of a broken arm. Any deep cuts that might be associated with a broken bone should also be checked immediately since there is a risk of infection with broken bones that come through the skin. The doctor will check to make sure the nerves and blood vessels are okay. An x-ray is usually taken to diagnose a broken bone. Sometimes more studies, such as a CT scan or MRI, will be recommended. If the fracture is out of place, a doctor may try to straighten it (“reduce” the fracture). This is often done in the emergency department or within a few days after the break happens. In most cases, follow-up with a hand surgeon will be recommended. Many times, especially in children, broken arms heal well in a cast (Figure 2). The cast is usually on for 4-6 weeks, after which activities may be restricted for 2-3 months. With certain types of breaks, or if a cast won’t be effective, the doctor may recommend surgery to straighten the bones and put in pins, screws, plates or other devices to hold the bones in place while they heal (Figure 1B and 1C). Hand therapy is often recommended to help regain the range of motion and strength following a broken arm. In some simple fractures, it is expected that nearly all of the strength and motion can be recovered. In more complicated breaks, it is not uncommon to lose some motion as compared to the other arm. In severe cases, arthritis with pain and stiffness may result, even despite the best attempts to straighten the bones. In some cases, more surgery is eventually necessary. Hand surgeons are specially trained to diagnose and treat fractures in the upper extremity. Visit a hand surgeon if you have injured your arm. Complex regional pain syndrome (CRPS) is a pain condition that is constant over a long period of time. It is believed to be the result of dysfunction in the central or peripheral nervous systems. It causes the nervous system to send frequent or constant pain signals to the brain. 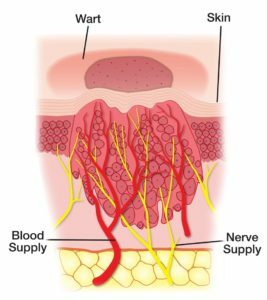 The nervous system becomes overactive, causing intense burning or aching pain, swelling, changes in skin color and moisture. The causes of CRPS are not known. CRPS can begin after a minor injury, such as a sprain or small cut, or after major trauma or surgery. Injury to a nerve may also cause the condition. It is most common among individuals between 25 and 55 years of age, though anyone of any age can be affected. CRPS is three times more likely to occur in women than men. An estimated 60,000 Americans are affected by CRPS. The pain may spread to include the entire arm or leg, even though the initial injury might have been only to a finger or toe. Pain can sometimes even travel to the other hand, arm or leg. It may get worse with emotional stress. There is no single test to confirm that you have CRPS. The diagnosis is primarily through observation of signs and symptoms. Patients must be examined by a qualified physician who does a thorough history and physical examination. X-rays, MRI, EMG/NCV, bone scans, thermography, or pain imaging (where available) may be helpful. You may need to visit another specialist, and a pain clinic is often recommended. The earlier the diagnosis of CRPS is made and treatment started, the better the chance for recovery. Treatment is varied and depends on both the symptoms and amount of time that has passed. Exercise, treating possible sleep disorders, and treating possible psychological problems can be helpful for treatment. Since there is no simple cure for CRPS, treatment is intended to relieve painful symptoms so that patients can resume their normal lives and use their hands or arms normally. Occupational/Physical Therapy: An increasing exercise program may help preserve or restore the function of your hand. Overall, exercise is very important to improve symptoms. Psychotherapy: CRPS can have psychological effects on patients and their families. Many with CRPS have depression, anxiety or post-traumatic stress disorder. A psychologist or psychiatrist may be able to help with this issue. 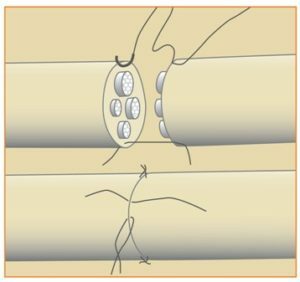 Nerve Blocks: Many patients experience significant relief from this treatment. A nerve block is when an anesthetic is injected to numb the nerves. This can relieve pain, improve mood, and improve level of activity. An example of a stellate ganglion block is shown in Figure 1. Medications: Many different drugs are used to treat CRPS and other conditions such as sleep disorders, depression and anxiety. Medications may include anti-seizure drugs, antidepressants, corticosteroids, muscle relaxants, and sleeping medications. 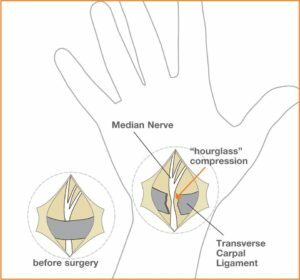 Surgery: If the CRPS is from a compressed nerve, such as with carpal tunnel syndrome, then surgery to release pressure on the nerve may be needed (e.g. carpal tunnel release). Discuss your treatment options with your physician. Each patient with CRPS responds differently to treatment. Most physicians believe that early treatment is helpful to limit the disability from CRPS. More research is needed to understand the causes, the development of the disease, and how treatment can alter its course. Fingertip injuries are one of the more common injuries in the hand. The fingertips are exposed in many of our activities. They can be crushed, such as by a closing door, a hammer, or a heavy object dropped onto the finger. They can be cut with a knife or power tool, such as a saw, sander, lawnmower, or snowblower. There are many ways to obtain a fingertip injury. When the tendon is cut, you cannot bend your finger. © 2013 American Society for Surgery of the Hand. Figure : Cross-section of wrist showing stalk (or root) of ganglion. Proper warm up and stretching is important to decrease the chance of injury while golfing. Gradually increasing the length and intensity of play as the season progresses can help avoid overuse injuries. Conditioning and core muscle strengthening can improve swing mechanics. Instruction with a teaching professional will refine your technique and increase your enjoyment of the game injury free. Any abnormal lump or bump in the hand or wrist is considered a tumor. The term “tumor” does not necessarily mean it is malignant or that it is a cancer. In fact, most hand and wrist tumors are benign (not cancer). Tumors can occur on the skin, such as a mole or a wart, or underneath the skin in the soft tissue or even the bone. Because there are so many types of tissue in the hand (e.g. skin, fat, ligaments, tendons, nerves, blood vessels, bone, etc. ), there are many types of tumors that can occur. Only a few of them are seen commonly. Ganglion Cysts (Figure 1): This is the most common tumor in the hand and wrist. Ganglion cysts are seen frequently in the wrist but can occur at the base of the fingers or around the finger joints. The cyst is typically filled with fluid, and it will feel very firm. There are several treatment options for a ganglion cyst, including observation (doing nothing), aspiration (puncturing with a needle) or surgically removing it. Giant cell tumor of the tendon sheath (Figure 2): This is the second most common hand tumor. Unlike the fluid-filled ganglion cyst, these tumors are solid. They are benign (not cancer) and slow-growing. Epidermal inclusion cyst (Figure 3): This tumor is benign and forms just underneath the skin where there may have been a cut or puncture. The cyst is filled with keratin, a soft, waxy material. There are other less common types of tumors seen in the hand, including lipomas (fatty tumors), neuromas (nerve tumors), nerve sheath tumors, fibromas and glomus tumors, among others. Almost all are benign. 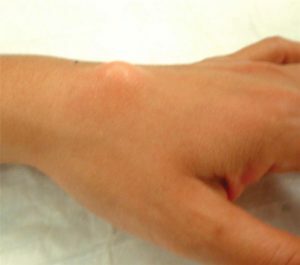 Foreign bodies, such as a splinter, can cause reactions that form bumps in the hand. Dupuytren’s Contracture may cause firm bumps in the hand, which are often confused with tumors (Figure 4). Finally, blood vessel growths can also be confused with other tumors. A physical exam and review of your medical history by a hand surgeon can help to determine the type of hand or wrist tumor you may have. X-rays might be taken to evaluate the bones, joints and possibly the soft tissue. Further studies such as ultrasound, CT, MRI or bone scans may be done to help narrow down the diagnosis. Needle biopsy or incisional biopsy (cutting out a small sample of the tumor) may be considered if the surgeon wants to confirm the diagnosis before recommending treatment. Typically, the most successful treatment is removing the tumor with surgery. This allows a pathologist to analyze it and to determine the type of tumor. Often, surgery is done on an outpatient basis. Some patients may choose to do nothing and simply live with the tumor once they learn that it is non-cancerous. However, if the tumor changes (e.g. skin discoloration, pain, increased size) or if it causes other problems such as numbness or pain from pressure on a nearby nerve, then re-evaluation by a hand surgeon is recommended. You and your hand surgeon can choose the best treatment plan. Rarely, a hand infection can be caused by an “atypical mycobacterium.” One of the more common types, Mycobacterium marinum infection, can develop after puncture wounds from fish spines or contamination of a simple wound or abrasion from stagnant water (in nature or from aquariums). These atypical infections develop gradually and may be associated with swelling and stiffness without much pain or redness. Surgical removal of infected tissue may be necessary and is helpful to determine which medicine will help treat the infection; often the medical treatment lasts several months. Patients whose immune systems are not working well (for example, those undergoing chemotherapy or who have HIV) are more susceptible to atypical mycobacterial infections. Bacteria from the skin or from the mouth can cause infection in the case of human or animal bites. Thorough washing, soaking, or even surgical drainage of the bite wound is needed to clear the infection, and wounds often are left open so that any infection can drain. Antibiotics are also used. “Fight bites” to the joint of the hand sometimes result in a chipped tooth being left in the joint; the tooth needs to be removed to prevent infection of the joint. Rabies infection from an animal may be serious or even fatal, so it is important to seek treatment as soon as possible after a bite wound. Cellulitis is a skin infection that can cause skin redness, warmth, and pain. People with cellulitis may have a fever or feel sick. Cellulitis usually happens around a break in the skin. The infection can spread to the bloodstream and can cause serious problems. Antibiotics are needed right away. Some people need to be admitted to a hospital for treatment. The hand is divided into many separate “compartments” or “deep spaces.” One or more of these can become infected even from a small puncture wound. An abscess can form in the muscle area at the base of the thumb (thenar space), the palm (deep palmar space), or the web spaces between the fingers. These infections can spread to other areas, even to the wrist and forearm, and need to be drained by surgery. 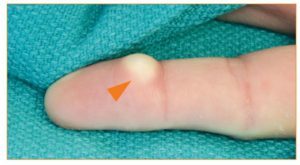 A painful, throbbing infection of the pulp of the fingertip is called a “felon” (see Figure 1). This closed space is separated into many small compartments, each of which fills with infection and pus. Felon can occur after gardening or other activities that involve sharp objects near the fingertip. Some felons will resolve with soaks and oral antibiotics, but many also need to be drained. If not treated early, destruction of the soft tissues and even bone can occur. Herpetic whitlow is a viral infection of the hand, usually on the fingers, caused by a herpes virus. This is more commonly seen in healthcare workers whose hands are exposed to the saliva of patients carrying herpes. The condition, characterized by small, swollen, painful blood-tinged blisters, and sometimes numbness, is typically treated conservatively and usually resolves in several weeks without many after-effects. MRSA, or Methicillin Resistant Staphylococcus Aureus, is a bacterium resistant to usual antibiotics used to treat infections. In the past, MRSA was seen in those in a hospital or nursing home. However, MRSA also can come from community places like gyms, dorms, houses, and daycares. Skin infections usually look like boils or collections of pus. Sometimes surgery is needed to drain the infection. If you start taking an antibiotic for something that looks like this and it is not getting better over two days, contact your health care provider. It is important that skin MRSA is treated right away to prevent it from causing more serious infections. Also, talk to your doctor about what to do to prevent spread to others. Necrotizing fasciitis is a very rare but severe infection. Streptococcus pyogenes or other “flesh-eating bacteria” enter the body through a cut. Bacteria toxins destroy skin, muscles, and other soft tissue. Necrotizing fasciitis is a true emergency—it can be life threatening—and very powerful IV antibiotics are given as soon as possible. Urgent surgery is usually needed to remove dead tissue. 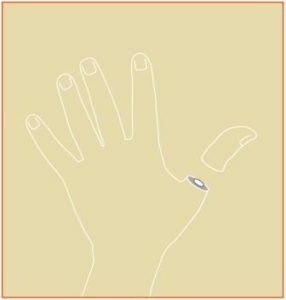 A paronychia is an infection of the paronychium (pay-roh-NIK-ee-um), which is the area around the fingernail (see Figure 2). Paronychia can happen quickly or over time. In acute paronychia, bacteria cause the skin around the nail to be red, swollen, and tender. If the infection is treated early enough, soaks and oral antibiotics may cure the infection. If pus has formed under the skin, surgery to drain the pus is needed. Chronic paronychia is caused by fungus; this usually occurs in people whose hands are frequently wet (such as dishwashers). The cuticle area becomes mildly red and swollen, without drainage and only mild tenderness. This may be treated with special medication and elimination of the constant exposure to moisture, which promotes the fungal infection. Surgery sometimes is needed to remove infected tissue. A wound in or near a joint can cause septic arthritis, which is a severe infection in the joint. Even a small needle used to drain a cyst at a joint with arthritis can lead to infection. In just days, the cartilage surface of the joint can be destroyed. Urgent surgical drainage and antibiotics are needed. If this treatment is delayed, infection of the bone—called osteomyelitis (ah-stee-OH-my-uh-LIE-tus)—can occur. Septic arthritis with or without osteomyelitis can require one or more surgeries and weeks of intravenous antibiotics. 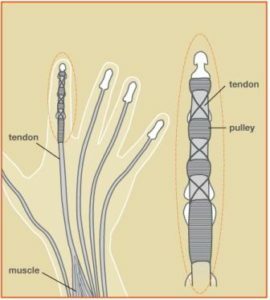 Tendons that bend the fingers run from wrist, through the palm, up the palm side of the fingers, and to the fingertips. 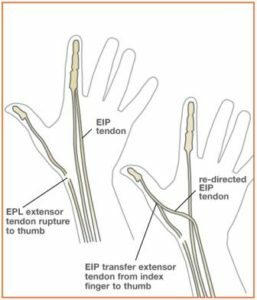 If a small cut or puncture wound occurs in a finger, especially near a joint on the palm side, the canal that the flexor tendon runs through can get infected. This infection can cause severe stiffness or even destroy and pop the tendon. 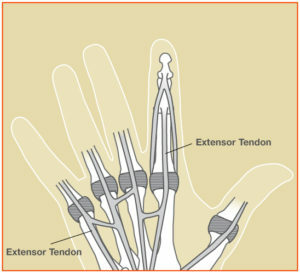 A finger with a tendon sheath infection is swollen, red, and tender over the palm side of the finger, and the finger stays slightly bent and is very painful to extend (see Figure 3). This infection usually requires that the patient be admitted to the hospital for IV antibiotics, soaks, and possible surgical drainage. Jammed fingers occur when the tip of the finger is compressed towards the hand. As the finger is compressed, the ligaments supporting the joints are stretched or “sprained.” Ligaments are soft tissues that hold bone to bone. The greater the force, the more severe the sprain. If the force is strong enough, the ligaments can tear completely. 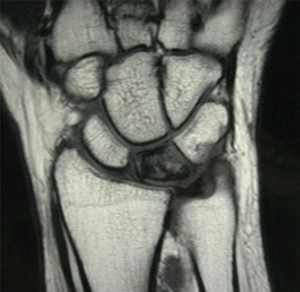 Kienböck’s disease, or avascular necrosis of the lunate, is a condition in which the lunate bone, one of eight small carpal bones in the wrist, loses its blood supply, leading to death of the bone. 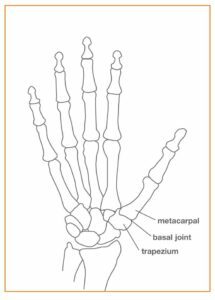 The lunate is a central bone in the wrist, important for proper movement and support of the joint. 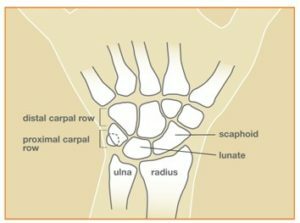 The lunate, along with the adjacent bones on either side of it, the scaphoid and triquetrum, make up the proximal carpal row. This row of bones articulates with the 2 forearm bones (the radius and ulna), to form the portion of the wrist that provides the most motion (Figure 1). Damage to the lunate can lead to pain, stiffness, and in late stages, arthritis of the wrist. This disease is most common in men between the ages of 20 and 40 and rarely affects both wrists.
. Its origin may involve multiple factors, such as the blood supply (arteries), the blood drainage (veins), and skeletal variations. Skeletal variations associated with this disease include a shorter length of the ulna, one of the forearm bones, and also the shape of the lunate bone itself (see Figure 2). Trauma, either single or repeated episodes, may possibly be a factor in some cases. This disease can be found more commonly in people who have medical conditions that affect blood supply, and it is also associated with diseases like lupus, sickle cell anemia, and cerebral palsy. Most patients with this disease initially present with wrist pain. There is usually tenderness directly over the lunate bone, decreased motion or stiffness of the wrist, and there can be swelling. The diagnosis of this disease can often be made by history, physical examination, and plain x-rays. In early stages the x-rays may be normal and special studies are needed to confirm the diagnosis. Probably the most reliable special study to assess the blood supply of the lunate is Magnetic Resonance Imaging, or MRI (Figure 3). CT scanning, specialized CT scanning, and bone scan may also be used. Patients often have the condition for months or even years before they seek treatment, and especially in its earlier stage it can be difficult to diagnose. The progression of this disease varies but is usually slow over many years. There are 4 stages used to classify avascular necrosis of the lunate. In stage 1, x-rays appear normal, but the lunate has lost its blood supply and is painful and may fracture. In stage 2 the bone hardens due to lack of blood supply and appears abnormally dense on X-ray. In stage 3 the bone collapses and fragments. In the final stage, stage 4, the lunate is collapsed and the bones around the lunate have developed degenerative changes and become arthritic. In the early stages there may be only pain and swelling, but as the disease progresses the mechanics of the wrist become altered, which puts abnormal stresses and wear on the joints within the wrist itself. One should be aware that not every case of this disease progresses through all stages to the severely deteriorated arthritic end-stage. Treatment options depend upon the severity and stage of the disease. In very early stages, the treatment can be as simple as observation or immobilization. 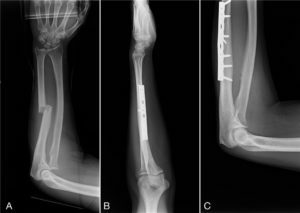 For more advanced stages, surgery is usually considered to try to reduce the forces on the lunate bone by lengthening, shortening, or fusing various bones in the forearm or wrist. Surgery can also be aimed at trying to restore blood supply to the lunate (revascularization), using a bone graft with a blood vessel attached to it. This is not an option in more advanced stages if the relationship of the bones has markedly deteriorated; complete wrist fusion may then be the preferred treatment. Hand therapy does not change the course of the disease; however, hand therapy can help to minimize the disability from the problem. Treatment is designed to relieve pain and restore function. Your hand surgeon will advise you of the best treatment options and explain the risks, benefits, and side-effects of various treatments for this disease. The results of this disease and its treatment vary considerably, depending on the severity of the involvement, and whether or not the disease progresses. The disease process and response to treatment can take several months. On occasion, several forms of treatment, and even multiple operations, might be necessary. Arthritis may cause pain, loss of motion, swelling, and a joint that appears larger than normal. 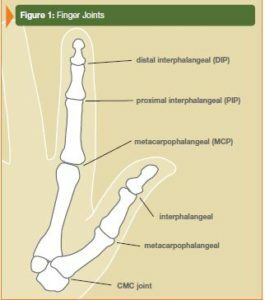 Also, especially in MP joint arthritis, the fingers can shift (See Figure 2). Pain in the joint is made worse by hard use of the hand in gripping and grasping activities. People with arthritis may notice weakness when trying to use their hands. The diagnosis of arthritis is confirmed by taking x-rays. 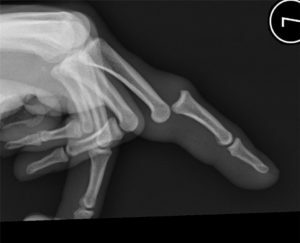 Figure 3 is an x-ray of a hand with arthritis: the x-ray shows narrowing of the space between the bones, which is a sign that cartilage has been lost. 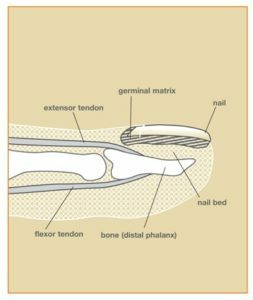 What is involved with injuries of the nail bed? Although carpal tunnel syndrome is common, it is not the only cause of numbness, tingling, and pain in the forearm and hand. Most of the lay public and some of the medical community are not aware of other causes, so numbness, tingling and pain may be mistakenly thought to be coming from carpal tunnel syndrome (go to the CTS section of this website). These symptoms can be caused by many other conditions. Local pressure on a nerve (“compression neuropathy”) causes numbness in distinct patterns that follow the area supplied by that nerve (see diagrams). Also, the muscles that are controlled by the compressed nerve may exhibit weakness, wasting, or twitching. The pressure may come from injury, thickened muscles, bands of connective tissue, enlarged blood vessels, ganglion cysts, or arthritic spurs. Ulnar nerve compression (see Figure 1) at the wrist causes numbness and tingling of the little finger, part of the ring finger, and the little finger side (ulnar side) of the palm. 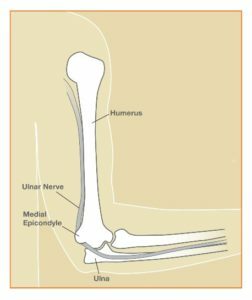 Ulnar nerve compression at the elbow causes not only the numbness noted above, but also numbness on the back of the ulnar side of the hand. 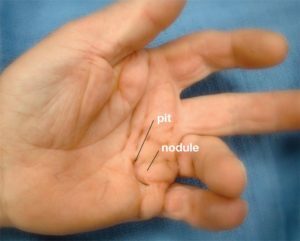 Pressure on the radial nerve (see Figure 1) in the forearm or above the wrist can cause numbness over the back of the thumb, the index finger, and the web between these two digits. If the median nerve (see Figure 1) is compressed at or just below the elbow, numbness is felt not only in the same area as in CTS but also over the palm at the base of the thumb. Compression neuropathies may require surgery to release pressure on the nerve(s) to get relief. 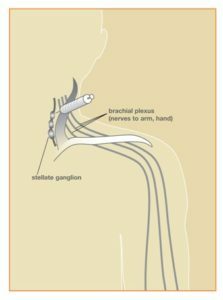 Nerves in the hands and forearm have their roots in the neck. 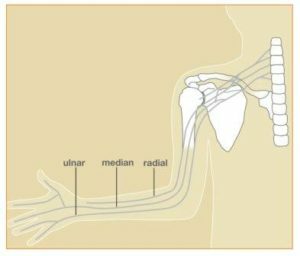 Pressure on nerves in the neck (C6-T1) (see Figure 2, 3) can be caused by numerous conditions. Arthritis may cause bone spurs or narrowing of the spinal canal, causing pressure on nerves, or degenerating discs may press directly on the nerves at the spinal column or as they leave the spinal column and pass to the upper limbs. Diseases, infections, tumors, blood vessels abnormalities, and other conditions of the spinal cord itself, in the neck, can cause pressure on the cord, which may result in numbness, tingling, or aching in the arm, forearm or hand. Weakness and/or wasting of muscles supplied by that nerve may be found. Decreased reflexes in the arm and forearm may also result from pressure on certain specific nerves in the neck. The pattern or zone of the numbness is often very distinct for each nerve root affected (see Figure 2). Numb hands and tingling in the hands can be caused by diseases of the central nervous system. Multiple sclerosis, stroke, and other disorders of the brain and spinal cord may sometimes cause numbness in the forearm and hand. Arthritis—literally, “inflamed joint”—can affect any joint in the body, including the joints between the 29 bones of the wrist, hand, and fingers. Arthritis of the hand can hurt and keep you from being able to do what you want or need to do. The most common forms of arthritis in the hand are osteoarthritis, post-traumatic arthritis (after an injury), and rheumatoid arthritis. Osteoarthritis is a degenerative joint disease in which the smooth cartilage that covers the bone surfaces at the joints either is injured or wears over time. A normal joint is made of two smooth, cartilage-covered bone surfaces that fit well together so that they glide when the bones move. If the smooth surfaces wear out, then they no longer fit together and arthritis develops. Injury, infection, gout, psoriasis, and other conditions can also cause arthritis of the hand. All forms of hand arthritis can cause stiffness, swelling, pain, and deformity. 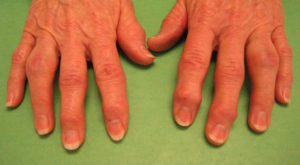 Osteoarthritis sometimes causes bony nodules at the middle joint of the finger (Bouchard’s nodes) or at the end joint of the finger (Heberden’s nodes) (see Figure 2). Osteoarthritis at the basilar joint can cause swelling, a bump, and a deep, aching pain at the base of the thumb. Weakness of grip and pinch can make it hard to open a jar or turn a key for those with osteoarthritis. When diagnosing osteoarthritis, your doctor will ask you about your hands and other joints. Explain how your symptoms affect what you do. Your doctor will check how your hands look and function. X-rays of joints with osteoarthritis can show loss of normal joint space, “bone spurs,” or other changes. The goals in treating osteoarthritis are to relieve pain and restore function. Brief rest—either by changing activities or wearing a splint—can help. Soft, snug sleeves can help support a joint when rigid splints are too restrictive. Heat (for example, paraffin baths and warm compresses) can soothe the joints and help keep them mobile. It is important to keep as much finger motion and function as possible. Hand therapists can teach joint protection exercises and activity modification to help protect joints. Anti-inflammatory medication or a steroid injection into the joint can decrease pain, but neither cures osteoarthritis. Surgery is considered when the non-surgical options above have not helped. In most cases, you will tell your doctor when you are ready for surgery. The goal is to restore as much function as possible and to minimize your pain. One type of surgery is joint fusion. 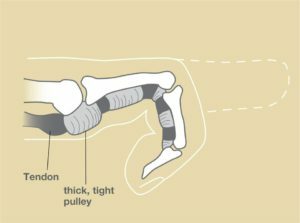 The worn cartilage is removed and the bones on each side of the joint are fused together, which means that the joint will not move but it will not hurt. Another choice is joint reconstruction, where the rough joint surface is removed and either replaced with your own soft tissue or with an implant. The type of surgery depends on the joint(s) involved, your anatomy, and your activities. Your hand surgeon can help you decide which type of surgery is the best for you. Power saws are very useful tools used to cut and shape all types of materials; however, they can cause serious hand injuries. The hands are vulnerable as they are used to guide pieces into the saw. The degree of injury can vary widely. The severity depends on the location of the injury (finger, hand or forearm). Also, the depth of the injury is important (skin only vs. deeper tissues such as tendons, nerves, arteries and bone). Qualities of the saw change the injury as well. Differences in kerf (width of the cut made by the saw blade – Figure 1), tooth pattern, type and force of the saw can change the injury. 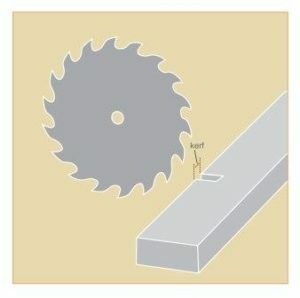 Anything that contacts the saw blade can be injured. Nerve injuries cause loss of feeling or loss of ability to control certain muscles. Circulation may be lost if the arteries are injured. Saws can also break bones. Sometimes you can lose part of the bone, which would lead to amputation. Electric shocks and burns can also occur with the operation of a power saw. Many power saw injuries are caused by failing to follow safety precautions. Follow all the safety instructions provided for your tool. Do not override safety guards; they are there for your protection. Never use your hands to clear the scraps from a sawing worktable. Instead, use a push stick. Do not wear loose clothing or jewelry. Use the correct blade for the application. Set it for the correct depth to minimize the amount of exposed blade and reduce the potential for binding. Use a rip fence whenever possible. When working with metal, secure the metal materials with clamps or in a vise to keep it from moving. Keep a clear head, concentrate, and DO NOT DRINK ALCOHOL before using this tool! There are now commercial table saw products available to decrease injury. The technology works quickly to stop the blade from cutting if it senses you have touched the blade. Not all of these treatment options are possible. Consult your hand surgeon for the best option. Side effects such as weakness, stiffness or numbness are common after power saw injuries. Psoriasis is a skin disease in which patients have dry, red and scaly skin rashes that can occur on any part of the body. Between 5-20% of patients with psoriasis may develop an associated arthritis. Arthritis means inflamed joint. A normal joint consists of two cartilage-covered bone surfaces that glide smoothly against one another. In psoriatic arthritis, the lining of the joint—the synovium—becomes inflamed and swollen. The swollen tissues stretch supporting structures of the joints, such as ligaments and tendons. As these supporting structures stretch out, the joints become deformed and unstable. The gliding surface wears out, and joint cartilage and bone erode. In addition to the hands, this type of arthritis can affect joints in the spine, feet, and jaw. The diagnosis of this condition is made based on clinical examination, x-rays and lab tests. You will be asked questions about your symptoms and how the disease has affected your activities. It can run in families, thus your physician will ask if family members have the condition or have symptoms similar to yours. A detailed examination of your hands is important because the clinical appearance helps to clarify the type of arthritis. X-rays are also helpful. Patients with this disease often have osteolysis—loss of bone—on their x-rays. The pencil-in-cup deformity at the DIP joint is also common (see Figure 3). Other x-ray findings seen in this condition include swelling of non-bony structures, joint space narrowing, joint erosions and/or spontaneous joint fusions.These findings can occur with erosive osteoarthritis and rheumatoid arthritis as well. There is no lab test specifically for this type of arthritis. Patients thought to have it often will have labs drawn to make sure they do not have rheumatoid arthritis or gout. Patients will often have an elevated inflammatory marker known as the sedimentation rate (ESR) but a negative rheumatoid factor (RF). Psoriasis is part of a larger group of inflammatory arthritis called spondyloarthropathies. On occasion, other lab tests may be requested to further characterize your arthritis. 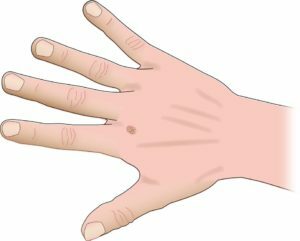 Sometimes a skin biopsy may be performed in a patient with hand symptoms and a skin lesion suspicious for psoriasis, without a known history of the disease. Treatment for this arthritis aims to decrease inflammation, relieve pain, and maintain function. While there is no cure, medications are available to lessen symptoms and improve function. Optimal care involves a team approach among the patient, physicians, and therapists. The care of the psoriatic patient requires not only a hand surgeon but also a hand therapist, rheumatologist, and the patient’s primary care physician. The rheumatologist is often the physician that monitors and decides the specific type of medicine that is felt to be the most effective at that stage in the patient’s disease process. This can be a progressive disease. Surgical interventions need to be appropriately timed in order to maximize function and lessen pain. Patients with psoriatic skin lesions are at increased risk for a surgical infection, so good control of the skin lesions is an important consideration when scheduling surgery. There are many types of procedures to treat joints affected by this condition. The procedures range from joint replacements to joint fusions. The specific procedure(s) depends on many factors. These factors include the particular joint(s) involved, the degree of damage present, and the condition of surrounding joints. One of the most important factors in deciding the correct surgical procedure is the needs of the patient. There are often many ways to treat hand deformities. Your hand surgeon can help you decide on the most appropriate treatment for you. This condition can manifest itself with different joint findings and symptoms, and these symptoms can change over time. Consequently it has been difficult to identify an individual marker for the disease. Psoriatic skin lesions do not correlate with the severity of joint involvement. Many studies show that appropriately prescribed medication can improve function and decrease pain and swelling. Studies looking at newer agents have shown delays in X-ray changes which are felt to demonstrate a slowing of the disease process. Further work is needed to understand how and to what extent medication alters the disease process. Rheumatoid arthritis is just one type of arthritis out of many. Patients with rheumatoid arthritis often wake up with stiff and swollen joints. Early on, many patients feel tired. While this condition can affect many parts of the body, two thirds of patients with rheumatoid arthritis have wrist and hand problems. Often, the joints feel hot and look red. Rheumatoid arthritis is most common in the wrist and knuckles (Figure 1). It typically happens in both hands. Rheumatoid arthritis affects the cells that lubricate and line joints. These tissues become swollen. They end up stretching supporting structures of the joints such as ligaments and tendons. As the support structures stretch out, the joints become deformed and unstable. The joint cartilage and bone wear away. Often the joints feel hot and look red. Rheumatoid arthritis is most common in the wrist and knuckles (Figure 1). It typically happens in both hands. In addition, patients with rheumatoid arthritis often have problems with numbness and tingling in their hand (carpal tunnel syndrome). This is because the swelling of the tendons causes pressure on the nearby nerve. The diagnosis of rheumatoid arthritis is made based on an examination, x-rays and lab tests. Your doctor will ask questions about your symptoms and how the disease has affected your activities. Your physician will also ask whether other family members have had rheumatoid arthritis or symptoms similar to yours. There are several blood tests that are often ordered to confirm the diagnosis. MRI – a special imaging study – has also been used to help confirm the diagnosis. Treatment for rheumatoid arthritis aims to decrease swelling, relieve pain and maintain function. While there is no cure for this condition, medications are available that slow the progression of the disease. Treatment typically involves a team approach among the patient, physicians and therapists. A rheumatologist is often the physician that monitors and determines the best type of medicine for the patient. Your hand therapist will provide instruction on how to use your hands in ways that help relieve pain and protect joints. Therapists also can provide exercises and splints to help you live a normal life. Rheumatoid arthritis can be a progressive disease. In certain cases, preventive surgery may be recommended. Preventative surgery may include removing lumps, removing inflamed tissue, or removing bone spurs that may rub on tendons or ligaments. There are several types of procedures to treat joints affected by rheumatoid arthritis. This can include removal of inflamed joint lining, joint replacements and joint fusions. The specific procedure(s) chosen depends on many factors. These factors include the particular joints involved, the degree of damage present, and the condition of surrounding joints. One of the most important factors in deciding the most appropriate surgical procedure is the needs of the patient. 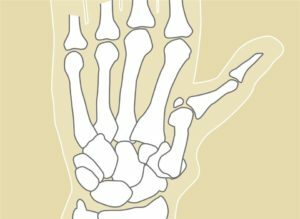 There are often many ways to treat hand deformities from arthritis. Your hand surgeon can help you decide on the most appropriate treatment for you. 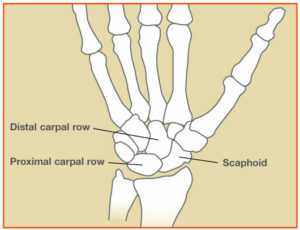 The scaphoid is one of eight small bones that make up the “carpal bones” of the wrist. 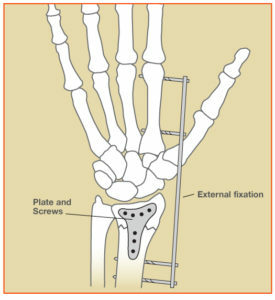 It connects two rows of these bones – the proximal row (closer to the forearm) and the distal row (closer to the hand). This connection puts it at extra risk for injury (Figure 1). 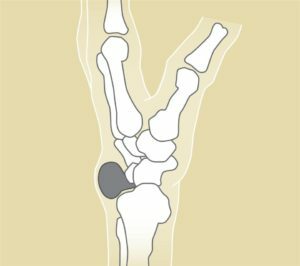 A fracture of the scaphoid bone usually occurs from a fall onto the outstretched hand. Pain (with or without swelling or bruising at the “thumb side” of the wrist) can be noticed within days following a fall. Because there is no visible deformity and no difficulty with motion, many people with this injury assume that it is a wrist “sprain.” Unfortunately, delaying treatment can cause problems. Visit a hand surgeon as soon as possible if you think you might have fractured your wrist. 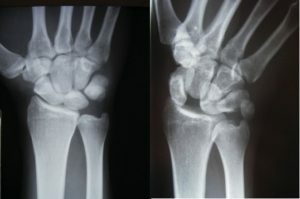 Scaphoid fractures are usually diagnosed by an x-ray of the wrist; however, x-rays do not always show scaphoid fractures. 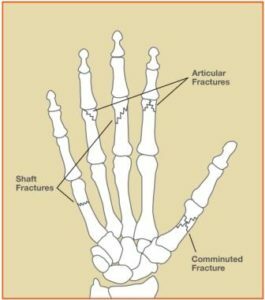 A break in the bone that cannot be seen on x-ray yet is called an “occult” fracture. 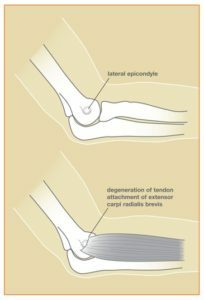 If you are tender directly over the scaphoid bone (which is located in the hollow at the thumb side of the wrist as shown in Figure 2), your health care provider might recommend wearing a splint to be safe. If pain persists, a follow-up exam and x-ray in a week or two can be used to diagnose. A CT scan, bone scan or MRI may also be used to diagnosis the fracture. 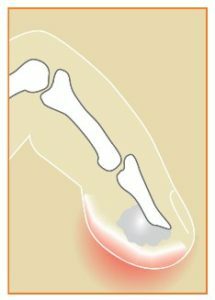 If the fracture is non-displaced (bone has not moved out of place at the fracture), it usually can be successfully treated with a cast. Although the fracture may heal in as little as six weeks, it may take longer for some patients. If the fracture is in a certain part of the bone or if the fracture is at all displaced (bone ends have shifted), surgery might be the best option. This might include the insertion of a screw or pins (Figure 3). Treatment without surgery can include use of a brace, anti-inflammatory medication or cortisone injections for pain relief. You and your hand surgeon can discuss which treatment is best for you. Skiing and snowboarding are some of the most popular winter sports and can result in different injuries to the upper extremity. Fortunately, there are some ways to decrease the chance for injury. One of the most common upper extremity skiing injuries is a thumb ligament tear. A ligament is the soft tissue structure that connects bones to bones. A ligament stabilizes the thumb on each side where it attaches to the hand. 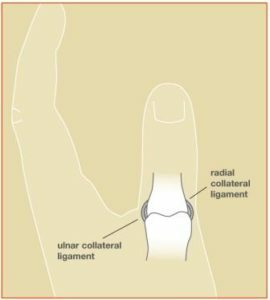 The ulnar collateral ligament (UCL) is on the side near the index finger. The radial collateral ligament (RCL) is on the other side (Figure 1). The UCL is the most commonly injured. Never place your hand down on the snow to try to avoid a fall. Do not place your hands through the strap, as demonstrated in Figure 2. The strap should be held alongside the pole. Try to let go of the pole when falling. If your thumb hurts after a fall, it may be from a UCL injury, sometimes called “skier’s thumb.” You should visit a hand surgeon, who will determine whether it is a partial or complete ligament tear. A partial tear and some complete tears can be treated with a cast or splint. Other complete tears need to be repaired surgically. Snowboarding results in injuries to the wrist and forearm. The natural protective reaction to an unexpected fall is to stop oneself. 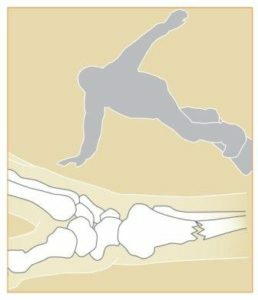 The hands are placed out to stop the fall, which can lead to a wrist injury (Figure 3). To avoid these injuries, wear wrist guards or gloves that have built-in wrist guards. If you injure your wrist while snowboarding, visit a hand surgeon. Your doctor will examine your wrist and may use x-rays, an MRI or a CT scan to diagnose the problem. Treatment may consist of a splint, cast or surgery. Occasionally, special devices are needed such as metal pins, plates or screws to stabilize wrist fractures and/or ligament injuries. Snowblowers and lawnmowers can cause severe damage to the hands and fingers. These injuries often occur when the user tries to remove an object that is “stuck” in the machine. Snowblowers and lawnmowers must be handled properly to avoid injury. Never put your hand or fingers near the moving parts or intake or output areas of snowblowers or lawnmowers. If there is an object in the way of any part of the machine, the machine must be turned off and the spark plug disconnected (or power cord unplugged for electric models) before attempting to remove the object. Only then should the object be removed with a tool, stick, or even a broom handle and not the hand or fingers or foot. Protect eyes from flying debris that may result. When being moved or picked up, snowblowers and lawnmowers should also be turned off, spark plug disconnected, and unplugged. If you suffer a snowblower or lawnmower injury, seek medical attention immediately, even for seemingly small injuries. Snowblower and lawnmower injuries may be mild or extremely severe. Small wounds or cuts can harbor unsafe bacteria. Infections are common and antibiotic medicines usually are necessary. More severe injuries can lead to multiple finger amputations. Save all body parts in a small plastic bag and place the bag on ice, then go to the closest emergency room. Frequently, several surgeries are needed to clean wounds and repair damaged tissues. Many months of hand therapy are usually necessary to maximize movement and function. In cases of severe injury, normal use of the hand is never recovered. While advances in surgery with a microscope have improved the results of replanted fingers and hands, function is never back to normal. If the fingers are too severely crushed and damaged, they might be beyond repair. Prevention is still the best treatment. Treatment for hand stiffness may include stretching exercises for the joints and muscles to help loosen them. Different types of splints or casts may be used to stretch the tight joints and regain more motion (Figures 1 and 2). Surgery may be needed if other treatments are not working or if the pain is affecting hand function. Any surgical procedure will typically require significant hand therapy post-surgery. Without therapy, the stiffness may return. The hands, being composed of many types of tissue, including blood vessels, nerves, skin and skin-related tissues, bones, and muscles/tendons/ligaments, may show changes that reflect a disease that affects other parts of, or even the whole body. These are known as a systemic diseases. The hands may show changes noticed by the patient or his/her hand surgeon even before the disease is detected. 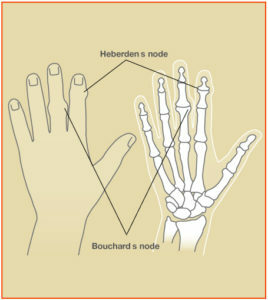 Arthritic swelling of the middle joint of a finger is called a Bouchard’s node. The swellings at the small finger joints are called Heberden’s nodes. 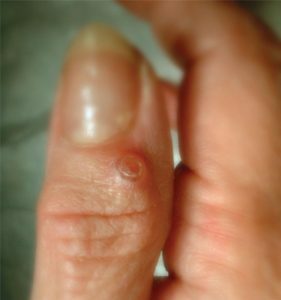 Psoriasis commonly affects the nail and nailbed. Pits in the nail, loosening, blood streaks beneath the nail, and other changes may occur. 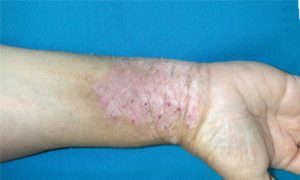 A psoriasis skin patch is seen in the middle. During this surgery, a functioning tendon is shifted from its original attachment to a new one to restore the action that has been lost. Many different conditions can be treated by this procedure. It is necessary when a certain muscle function is lost because of a nerve injury. If a nerve is injured and cannot be repaired, then the nerve no longer sends signals to certain muscles. Those muscles are paralyzed and their muscle function is lost. This surgery can be used to attempt to replace that function. Common nerve injuries that are treated with this procedure are spinal cord, radial nerve, ulnar nerve, or median nerve injury. Such surgery may also be necessary when a muscle has ruptured or been lacerated and cannot be repaired. Common muscle or tendon injuries that are treated with this surgery are tendon ruptures due to rheumatoid arthritis or fractures and tendon lacerations that cannot be repaired after injury. This surgery may also be needed if a muscle function has been lost due to a disorder of the nervous system. In this situation, the nervous system disease or injury prevents normal nerve signals from being sent to a muscle, and imbalance in hand function occurs. The muscle imbalance or muscle loss due to nervous system disease may be treated with tendon transfers. Common nervous system disorders treated with this surgery are cerebral palsy, stroke, traumatic brain injuries, and spinal muscle atrophy. Finally, there are some conditions in which babies are born without certain muscle functions. In these situations, the missing muscle functions can sometimes be treated with this procedure. Common conditions treated this way include hypoplastic (underdeveloped) thumbs and birth brachial plexopathy (nerve problem with paralysis). During this surgery, the origin of the muscle is left in place; the nerve supply and blood supply to the muscle is left in place. 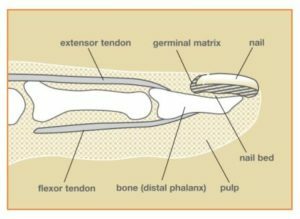 The tendon insertion (attachment) onto bone is detached and re-sewn into a different place. It can be sewn into a different bone, or it can be sewn into a different tendon. After its insertion has been moved, when the muscle fires, it will produce a different action, depending on where it has been inserted. When a tendon is transferred and sewn into another position, the tendon transfer will need a period of time to heal, usually about one to two months. A splint or cast may be used, followed by therapy to teach you the new tendon function. Finally, exercises will be needed to strengthen the muscle after your hand surgeon feels the tendon transfer has sufficiently healed. You will need to follow post-operative instructions. Movement too early can lead to rupture of the tendon transfer. Movement too late can lead to excessive scarring of the tendon with resultant stiffness. Discussion of your individual case with your hand surgeon will help you further understand the risks and benefits associated with this surgery. 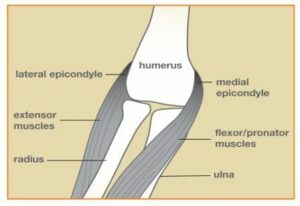 A joint is where bones connect and move. Arthritis is thinning of the cartilage, which is the smooth covering of the joint. The body reacts to loss of the joint surface by forming bone spurs (osteophytes) (see Figure 1). The diagnosis is made by talking with you and examining you. The appearance of the thumb can change with the development of bone spurs and stretching of soft tissues (ligaments) (see Figure 2). A grinding sensation may also be present at the joint (see Figure 3). X-rays are not necessary to make the diagnosis, but they can help you understand the disease and they can help when surgery is being considered. Thumb sprains are common in sports and falls when the thumb is either jammed into another player, the ground or a ball, or when the thumb is bent into an extreme position. One or more ligaments can tear. Figure 2: Upon falling, the ski pole may bend the thumb in an extreme position and tear the ulnar collateral ligament (UCL), the so-called “skier’s thumb” injury. Warts are bumps on the skin and may feel rough to the touch. The technical name is verruca vulgaris. They appear in areas of skin that grow faster than normal due to a virus called human papilloma virus (HPV). They can spread, and some people can more easily get them. There is no cure for the HPV virus. Most people will naturally fight off the virus from their body within 2-3 years of getting it. However, it can come back. These bumps on hands can be uncomfortable and embarrassing to have, but are not cancerous. The bumps can be very itchy, can bleed if irritated, and the skin around them can become uncomfortable. If on fingers, they are sometimes confused with other problems such as fluid filled sacs (cysts) or bone spurs from arthritis. A primary care physician or dermatologist are often the first physicians to treat this problem. There are many different treatment options. While it is very rare, it is important to know that a bump that does not respond to regular treatment can be a sign of a developing skin cancer lesion. Treatments include simple solutions such as placing duct tape over the bump after rubbing it with a pumice stone. Other methods may include applying salicylic acid or liquid nitrogen to freeze the bump. If these methods do not work, a chemical called cantharidin may be used. Finally, surgical excision or biopsy might be indicated for bumps that do not seem to go away or are in areas that are hard to treat with other methods. Perhaps the most important thing to remember during treatment is patience. Tried and true treatments generally work but take time. The most common ligament to be injured in the wrist is the scapho-lunate ligament (see Figure 2). It is the ligament between two of the small bones in the wrist, the scaphoid bone and the lunate bone. There are many other ligaments in the wrist, but they are less frequently injured. Sprains can have a wide range of severity; minor sprains may have minimal stretch of the ligaments, and more severe sprains may represent complete tears of the ligament(s). Another common ligament injured is the TFCC (triangular fibrocartilage complex). Initially your doctor will examine your wrist to see where it hurts and to check how it moves. X-rays are taken to make sure there are no broken bones or dislocated joints (see Figure 3). Occasionally other studies, such as Magnetic Resonance Imaging (MRI), may be performed. Treatment may range from wearing a splint or cast to surgery. Surgery may consist of arthroscopic (with an internal camera) or open surgery. Arthroscopic surgery is performed through small (3-4 millimeter) incisions in the skin. A camera and other special instruments are placed inside the wrist to confirm the diagnosis and potentially treat the ligament injury. Some injuries require open surgery, where an incision is made to repair the ligament. A variety of repair methods exist, which could include metal pins, screws, and other specialized devices. Patients are usually placed in a splint or cast that may need to remain on for several weeks after surgery. Your doctor will determine the best course of treatment. The term “chronic” refers to an old injury of greater than several months to years. If there is no or minimal cartilage damage, the ligament may be reconstructed. If there is moderate to severe cartilage damage (arthritis), symptoms may include pain, stiffness, and swelling. Chronic injuries may first be treated with splinting and non-steroidal anti-inflammatory medicines, and later with cortisone injections. If these treatments fail, surgery may be an option. Various types of procedures are possible, including a partial wrist fusion, removal of arthritic bones (“proximal row carpectomy”), wrist replacement, or complete wrist fusion. Your doctor will determine the best course of treatment. Despite optimal treatment, these sprains occasionally result in residual long term pain, stiffness, and swelling. The wrist is a complex group of bones, cartilage, and ligaments that are in a delicate balance for precise movements. Injury can upset this balance and damage previously well-tuned moving parts. Doctors Traverso and Gellman have lectured both nationally and internationally, being recognized experts in the field of Hand and Upper Extremity Surgery. Complete the short form below and Traverso Hand specialist will contact you promptly.